One of the joys of my blog is that I am exposed to so many new and exciting products, especially health and fitness related products. I’m always amazed at what science boffins can come up with in an attempt to keep us as healthy as possible and to improve our fitness performance. Now a lot of the things out there claim to be miracle potions and pills, so it can take time to sort through the rubbish to find a good product, but my blog always aims to share with you good quality products that you (hopefully) enjoy! Today it’s time for BEET IT Sport to shine. 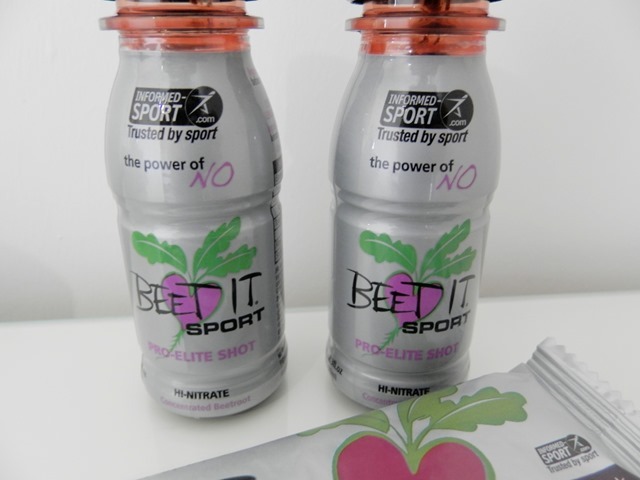 The BEET IT brand is rapidly establishing itself in the sporting world thanks to its no nonsense products. Their bars and shots are a favourite of many international sportsmen and women thanks to them being a completely natural energy source. The BEET IT Sport Pro-Elite Shot is designed to provide a natural boost to sporting performance in one quick hit. The instructions state that you should enjoy one shot 1-12 hours before exercise – so whether you’re forward planning your workouts or not, this is a simple way to top up your energy beforehand. And with only 97 calories in a shot it’s not going to damage the hard work you put in on your nutrition. The shot is made from 100% natural ingredients and consists of beetroot juice cut with lemon juice. Now the ingredients may not sound the tastiest to you – they didn’t for me! However as much as I don’t really like beetroot the shot is very palatable, not bitter in the slightest and is easy to drink, plus the little tiny bottle means you can slip these shots easily in your gym bag! Now the bars were the selling point for me – performance enhancing flapjack – yes please! 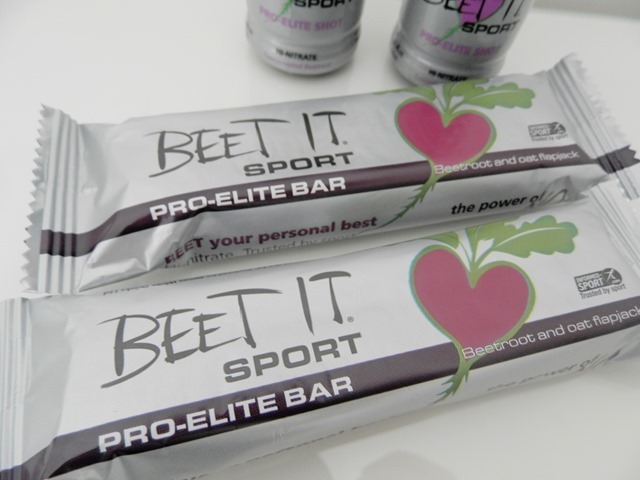 The BEET IT Pro-Elite Bars are a blend of beetroot and oats and are designed to give the same benefits of the BEET IT Pro-Elite Shot, so if you prefer something more substantial before working out the Pro-Elite Bar is for you. This bright purple flapjacks has a great moist texture and is rich in beetroot flavours – as you would have guessed! So for none beetroot lovers like myself, this flapjacks flavour is a little too strong, however my partner was a big fan! Research is being conducted across 100s of universities using BEET IT Sport Shots to investigate the benefit of natural dietary nitrate supplementation. (There’s 400mg of nitrate in each BEET IT product). Their work so far shows that nitrate interacts with enzymes in salvia to boost Nitrate Oxide levels in the blood. Nitrate Oxide is a vasodilator that increases the flow of blood and oxygen to muscles, thereby boosting strength and endurance – similar in impact (but legitimate) to blood doping! So there you have it! An affordable performance boosting product that is 100% natural! Now I doubt that many of you reading my blog are athletes, so this product may not find a place in your day to day life, however I think it’s the perfect product to enjoy before a long run or a sporting event – help give you that extra boost! You can find BEET IT shots in Holland and Barret, Sainsbury and Amazon. The bars are currently only available at Amazon. 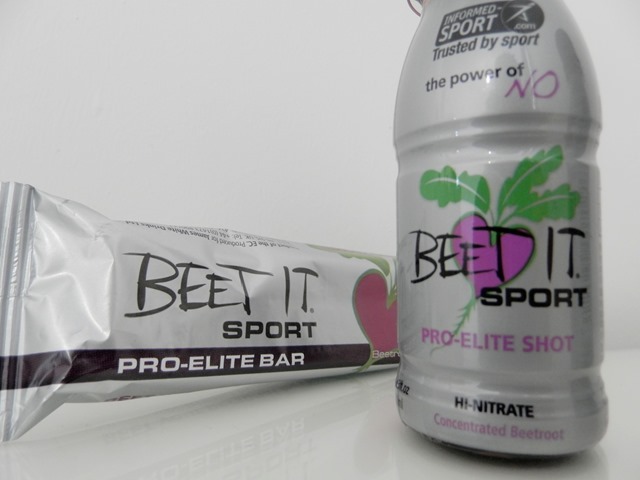 Have you ever heard or seen of BEET IT Sport bars or shots? Are you a fan of natural performance boosting products? I’ve not seen these but would be interested in giving them a try. I think the bars would be more my thing! The bars have a great texture… perfect for pre-workouts! I didn’t mind the drink, but definitely think the flapjack is great for those who don’t like the shot.